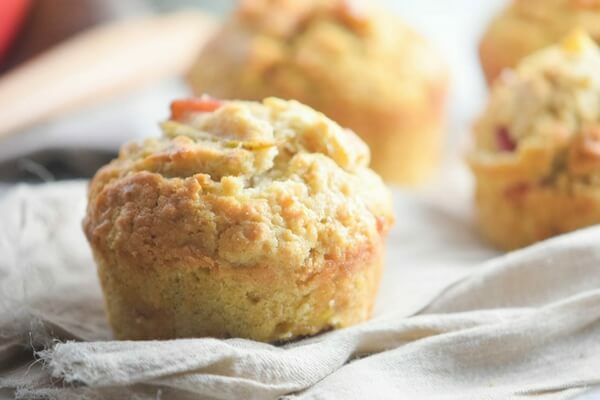 If you’ve been around In the Kids Kitchen for awhile, you know that we love healthy muffin recipes for a quick breakfast-on-the-go or an easy afternoon treat – not to mention they are super easy to kids to help make! 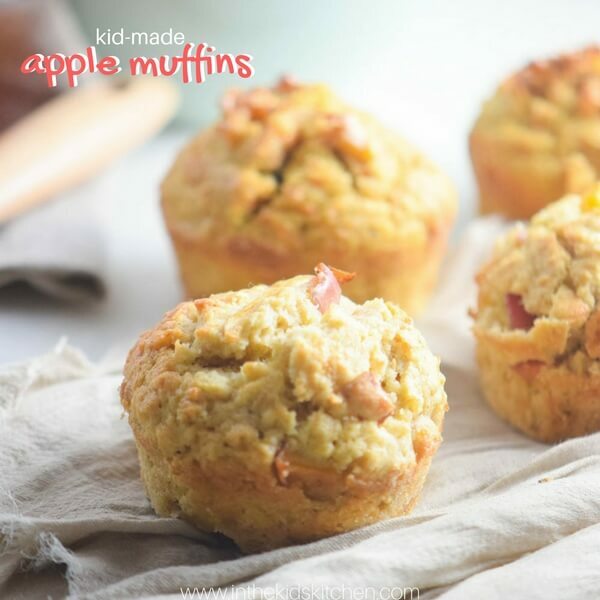 Today we’re sharing a delicious easy apple muffin recipe your kids are going to love! Muffins are great for making with kids because you don’t need to break out the mixer and you don’t have to worry if there are lumps in your batter. Muffins are incredibly forgiving – despite spills and occasional missed ingredients, I’ve never had a batch turn out truly horrible so you can just focus on having a great time baking with the kids and not worry if things don’t go perfectly. Plus, unlike more sugary desserts, you won’t have to hesitate to let the kids indulge in their creations. These apple cinnamon muffins are moist thanks to the inclusion of applesauce, with a delicious apple-cinnamon flavor that just tastes like fall. 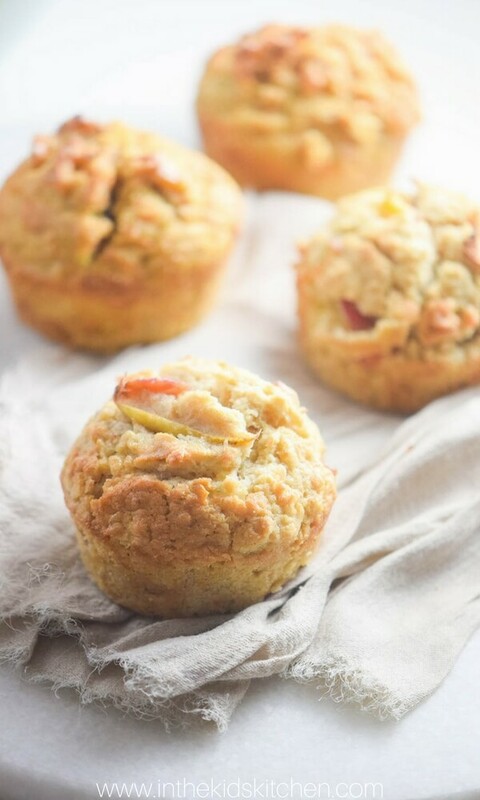 Tip: Our easy apple muffins make the perfect make-ahead breakfast! Store them in an airtight container and freeze them for up to 4 months. Sift the flour and baking powder into a mixing bowl. Add the sugar and mix. Add the butter and mix well, using a hand or stand mixer. Add the egg, milk, applesauce, and vanilla. Continue mixing until you get a homogeneous batter. Fold in half the apple slices and scoop into the liners. Top with the remaining apple slices and take to the oven for 20 minutes or until done. Remove from the oven and let muffins cool down for 5 minutes before serving. If freezing, allow to cool to room temperature before placing in an airtight container. 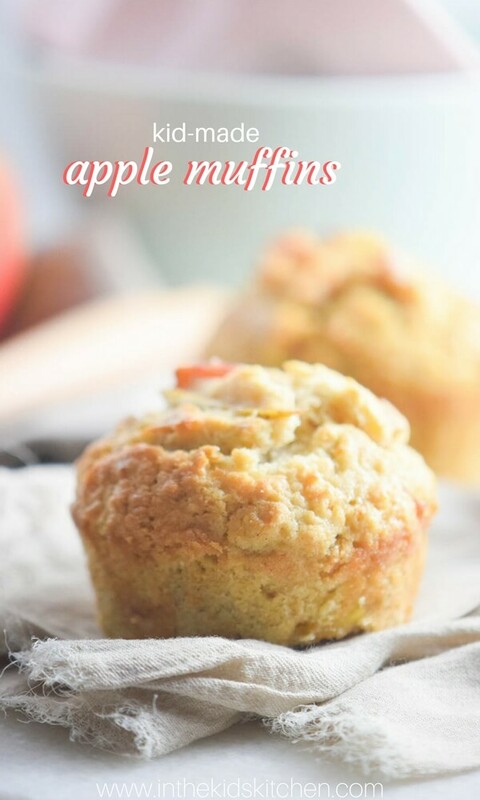 Free printable copy of our easy apple muffins recipe available at the bottom of the post. 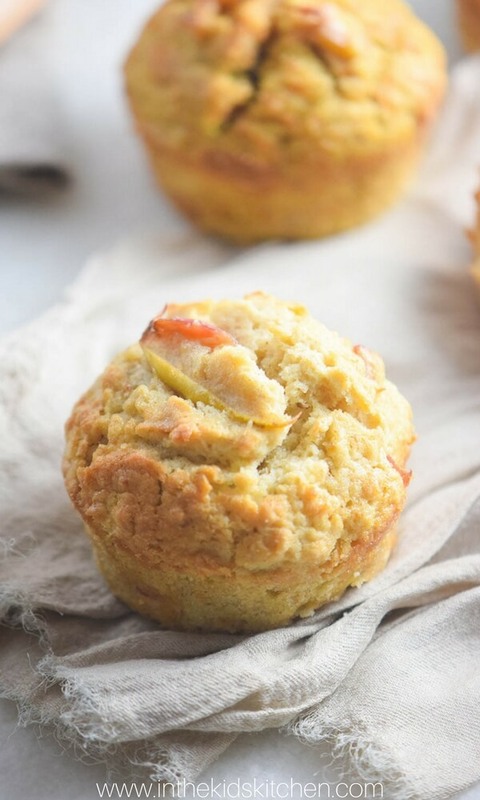 Our easy apple muffins make the perfect make-ahead breakfast to grab-n-go! 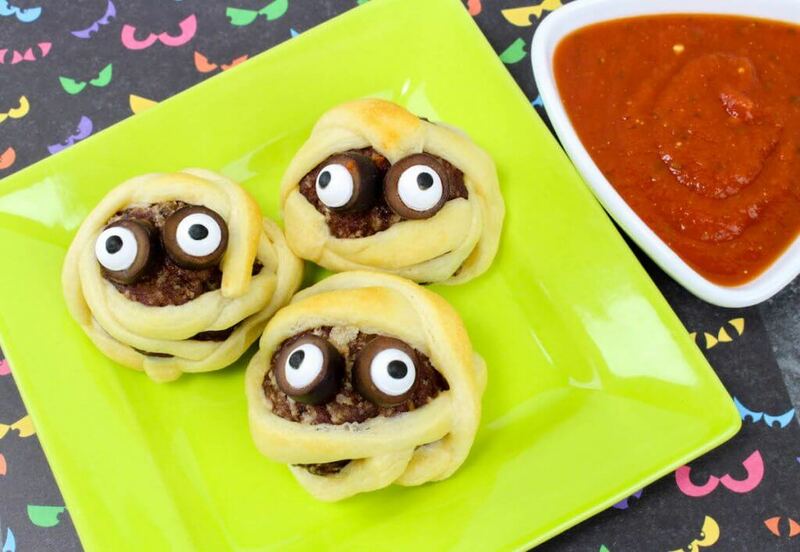 Made with real apples and simple, real-food ingredients, they're a guaranteed hit with kids! Preheat oven to 375F and line a muffin tin with disposable liners. Sift the flour and baking powder in a bowl. Add the sugar and mix. Add the egg, milk, applesauce, and vanilla. Mix until you get a homogeneous batter. Remove from the oven and let them cool down for 5 minutes. 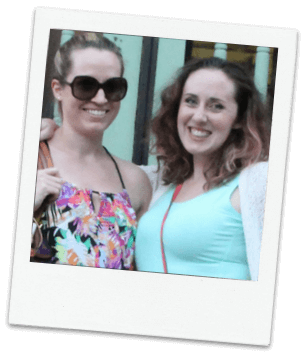 Does your family go to an apple orchard every fall? What are some of your favorite fall family traditions? 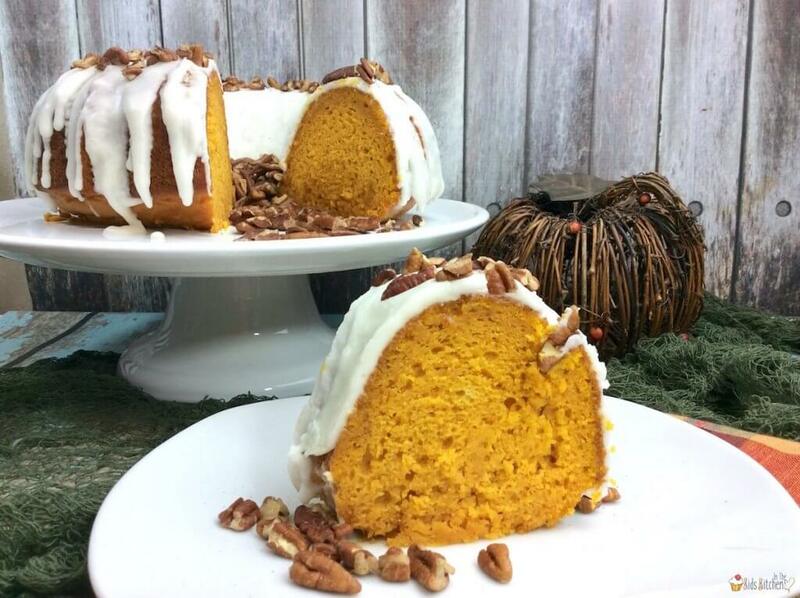 For more delicious fall recipes, check out our cake mix pumpkin bundt cake recipe or our mummy meatballs appetizer recipe.